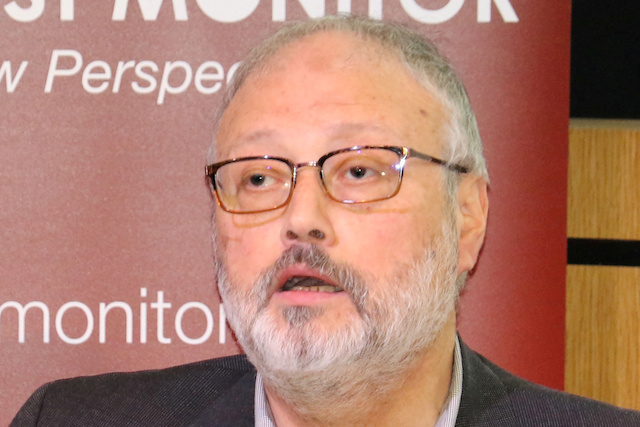 Saudi dissident Jamal Khashoggi speaks at an event hosted by Middle East Monitor in London, Britain, September 29, 2018. Picture taken September 29, 2018. Middle East Monitor/Handout via REUTERS ATTENTION EDITORS – THIS IMAGE WAS PROVIDED BY A THIRD PARTY. “You’re the President of the United States of America, a journalist was slaughtered in cold blood and you don’t want to address it? That should also concern all of us,” she added.